Yeah, I know. It wasn't that color when we brought it home. We are horrible, brutal people. 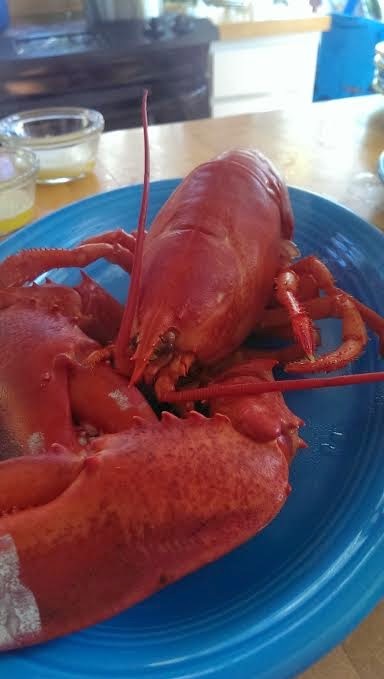 Horrible, brutal, well fed people with bellies for of lobstery goodness. Even better, the chef and head sea-fooder was a real live Bostonian! And he made CHOWDER. And it was AMAZING. And now I have to POST THIS (watch the first video! ).